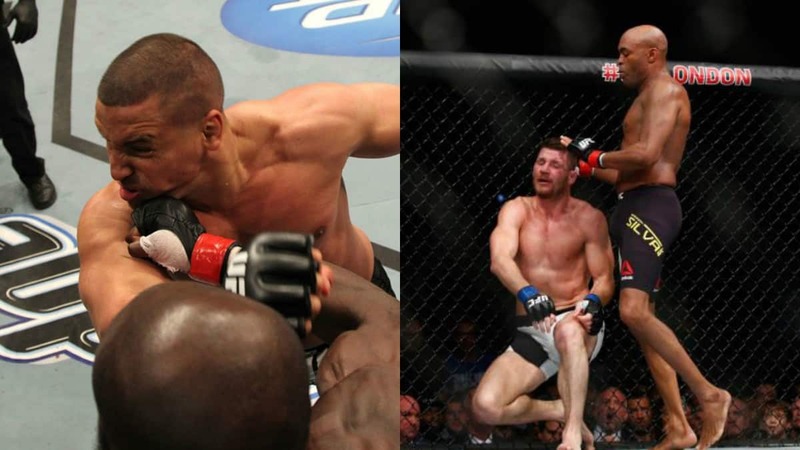 With all the madness of UFC London now in the rear view mirror, it’s time to reflect on what could be a career defining win for Michael Bisping, and a final curtain for ex-champion Anderson Silva. 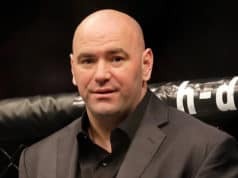 There will be plenty of that through the day, but one point that is interesting that was prompted by the dramatic events of round three is fighters who get knocked out, but still win the fight. Whether you believe Bisping was done or not after the infamous flying knee on the buzzer, it’s still an intriguing debate. There’s been many occasions that fighters have been done, but still manage to won the fight. 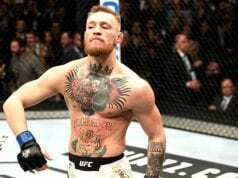 In fact, there’s multiple occasions where some of the most well known legends in the sport of mixed martial arts have actually been unconscious at the very moment they won the fight. Don’t remember those fights? Don’t worry, nor do the winners, but LowKick does. Without further ado, check out the Five Fighters Who Got Knocked Out But Still Won The Fight! Here’s a prime example of when a fighter was literally out cold at the moment they won the fight, in fact both men were. During UFC legend Matt Hughes’ first ever title fight, he faced fellow MMA pioneer and the welterweight champion of the time Carlos Newton at UFC 34. Newton was a grappling ace, and had recently finished Pat Miletich with a bulldog choke to win the belt. Newton wrapped up one of his infamous triangle chokes around the neck of Hughes, but was slammed on his head against the mat. Hughes won the fight by KO, but appeared confused as he was lifted from Newton’s lap. He later confirmed he has no memory of the moment of victory, and he actually went out while they were standing. Madness.